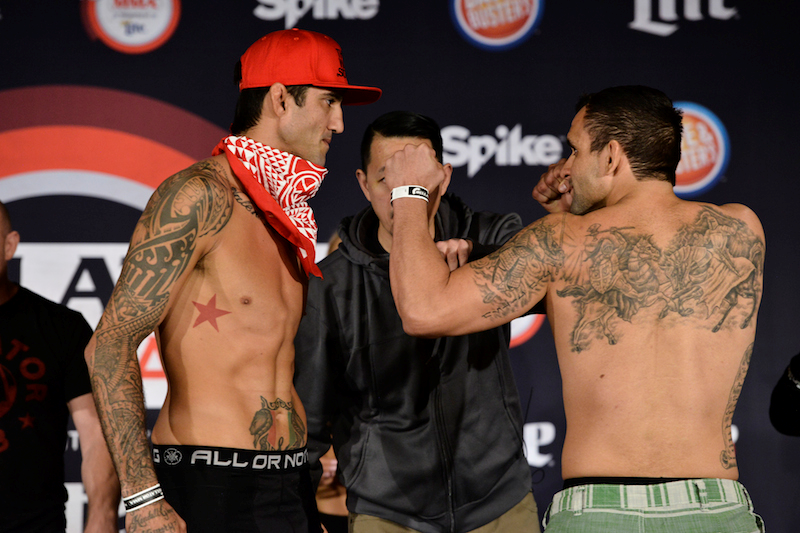 MULVANE, Kan. (February 25, 2016) – With the news that Marcos “Loro” Galvao and Eduardo “Dudu” Dantas are off the “Bellator 150” card, Cheick Kongo (23-10-2) versus Vinicius Queiroz (8-3) will now serve as the headliner tomorrow LIVE on Spike. 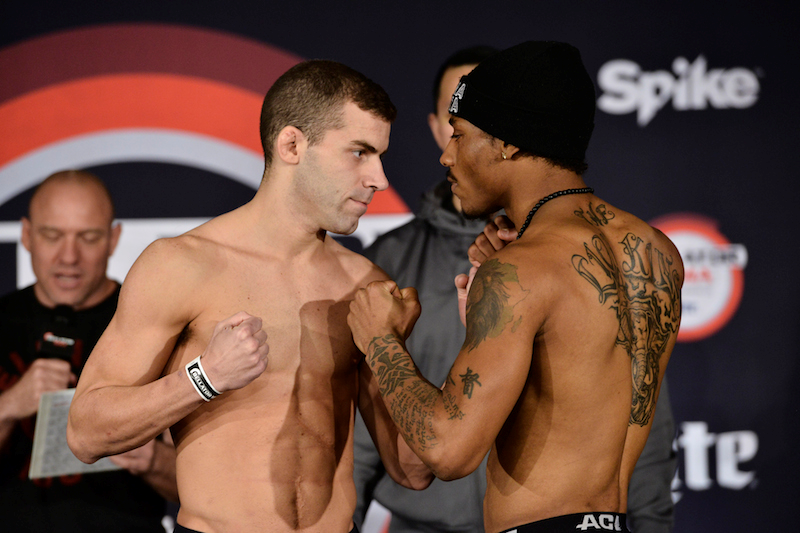 After tippng the scales today, the fight is officially a go for inside the Kansas Star Arena in Mulvane, Kansas. Dave Rickels (16-4, 1 NC) will also return to action against Bobby Cooper (12-5) in the co-main event, as the hometown favorite prepares to deliver another top performance for his fans. 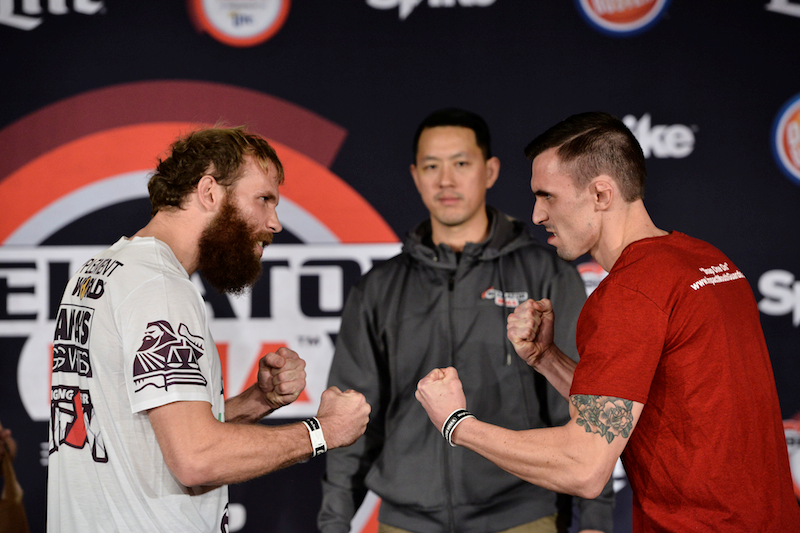 “The Caveman” will have his mind set on redemption in his first fight of the year after a frustrating 2015 campaign that included a second round loss to Michael Chandler in “Bellator 145: Vengeance”. 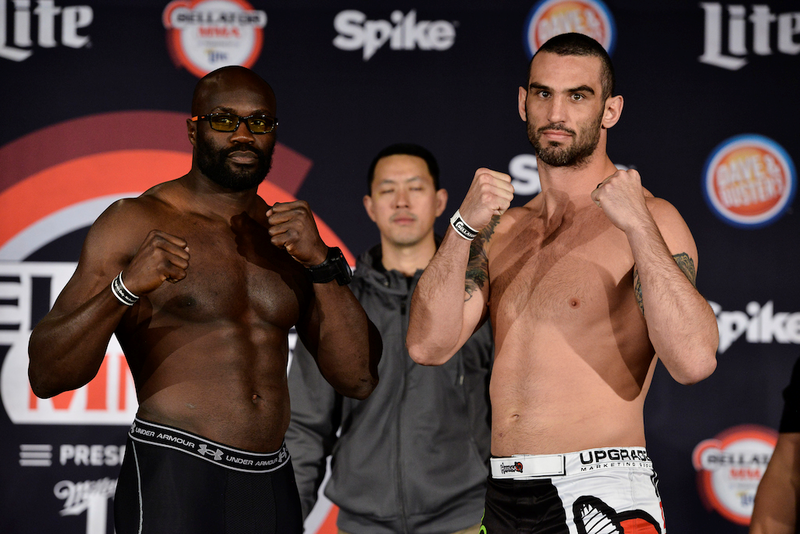 The main event, as well as four other action packed bouts will make up the televised contests at “Bellator 150: Kongo vs. Queiroz,” which airs live on Spike at 9 p.m. ET/8 p.m. CT, while preliminary bouts will stream on Bellator.com at 6:45 p.m. ET. Complete weigh-in results can be found below.